Depending upon your age, the term “learning style,” as it pertains to education, may be given many different definitions. If he were still with us, I would have loved to hear my husband’s grandfather, Old Gramps, give his opinion on a child’s learning style. He was 92 when he died, but he was a feisty one! I’m sure he would have pointed out that in his day, the only way his parents would have encouraged his learning style would have been with a switch. Times have changed, though. Those of us who studied education in the 80s and beyond may remember the name Howard Gardner. I had so many classes, where I had to create different lessons for a child, based on the levels of multiple intelligences. For those of you, who haven’t really given much thought to this, here it is in a nutshell. We all have specific ways that we best learn and retain new information. These specific ways are our multiple intelligences. If you have 3 min., take this fun little quiz. It will give you an indication of your learning styles and strengths, and it could also help you identify what learning style your children may have. Why is this important? As a teacher, I’ve found how valuable this is. I had students who could not remember facts, dates, etc, but if I could show them a finger play or teach them a song they could learn just about anything. I had other students who wanted me to just leave them alone, because they wanted to read and quiz themselves over the facts and not fool with the ‘fluff.’ Every child learns differently. As a home school teacher, I feel it is even more valuable to know my child’s learning style, because I can find what works and plow full speed ahead! Carson is a very Musical, Spatial, and Visual learner. I understand that I can’t tailor every subject to his learning styles, but with very subtle changes I can do a lot. When we memorize facts, we add music or movement to them. When we chant spelling words, we move to each letter we say. We draw pictures to better remember spelling patterns, and for Literature, we create! 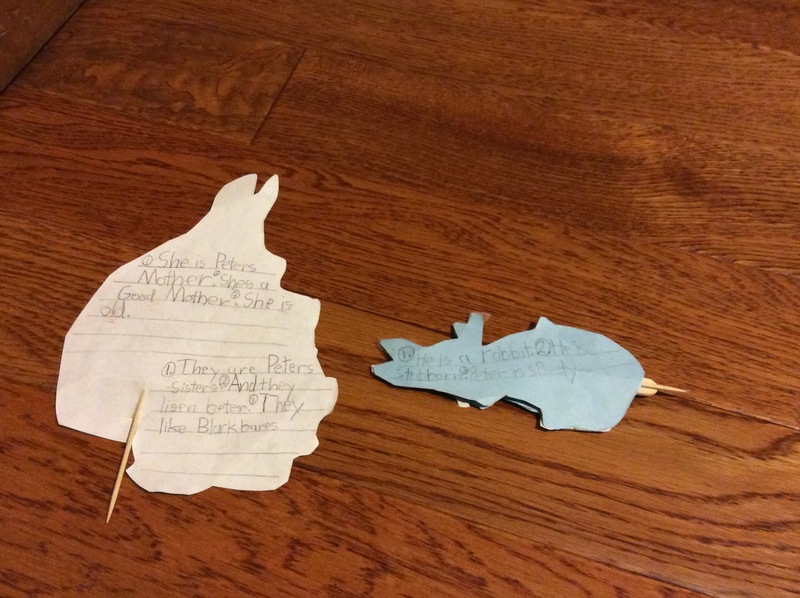 Here’s what Carson created when we were studying Beatrix Poetter. This worked so perfectly, because we read these at the beginning of the year, when we were still harvesting and tending to our own garden. I know these pictures aren’t quite Pinterest worthy, but hopefully you can see the value of what we did. I asked Carson if he wanted to draw a garden, as we read Peter Rabbit. I didn’t realize the can of worms I had opened. He came up with nearly all of what you’ll see. 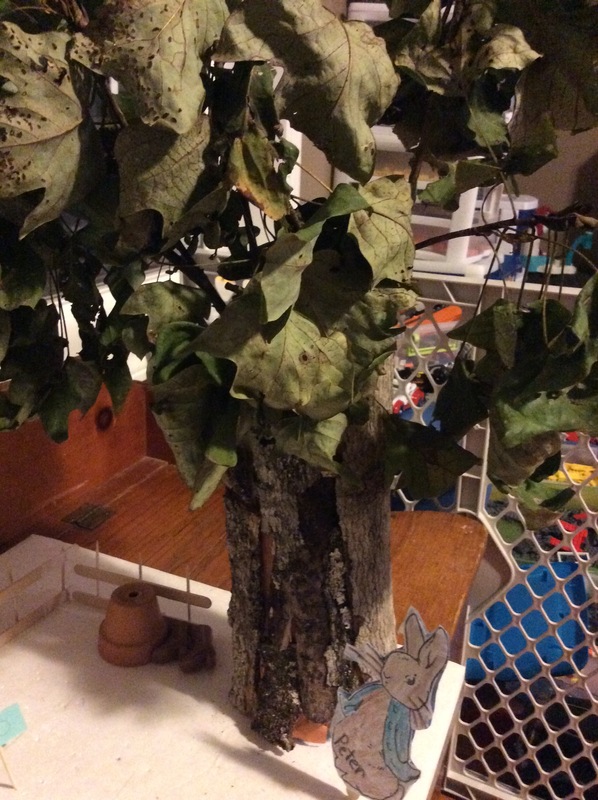 The tree is made of bark wrapped around and glued on a Pringles can. 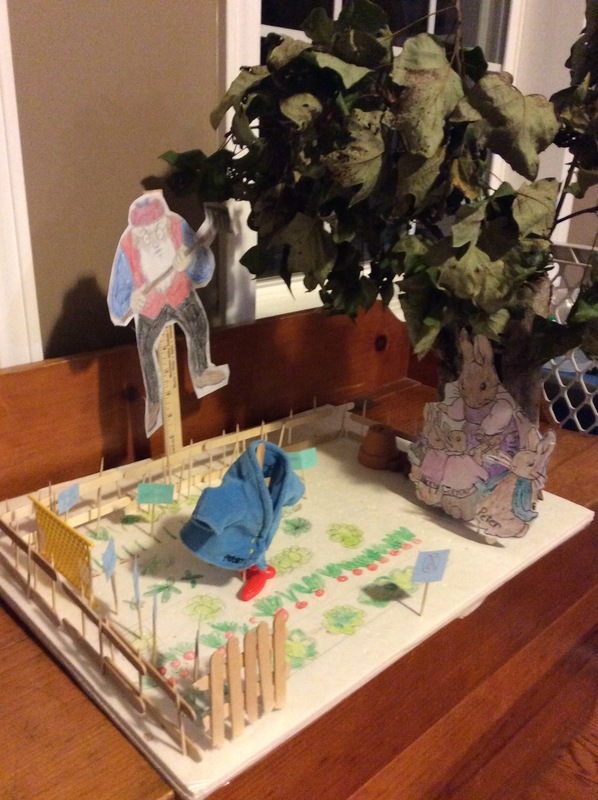 We used Popsicle sticks and toothpicks for he fence. The board is a foam board from Dollar Tree. As the book talked about the different crops in the garden, Carson and I researched the type of leaves they had and drew them in a row. He also made the labels for each row. 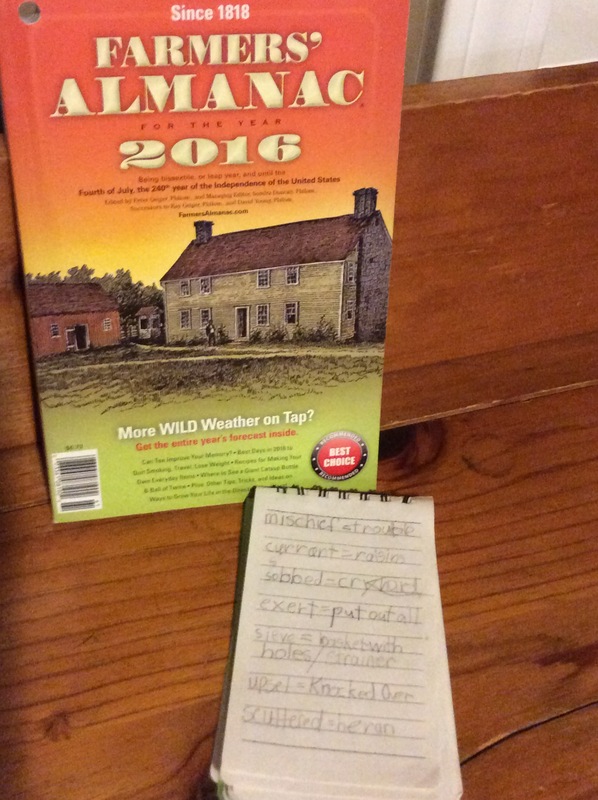 We had a lot of fun taking a look at next year’s Farmers’ Almanac. We planted our crops according to it this year, and we had so many veggies I was overwhelmed. Not sure if it was due to this or not, but it worked for us. As we read, Carson and I wrote down words that he (and sometimes me, too) wasn’t familiar with. We would then look the definitions up and record them in our notebook. My plan was to create a Farmers’ Almanac-type vocabulary journal, but we ended up falling short on that goal. Not everything gets accomplished with a 19 month old in the school room 😏. 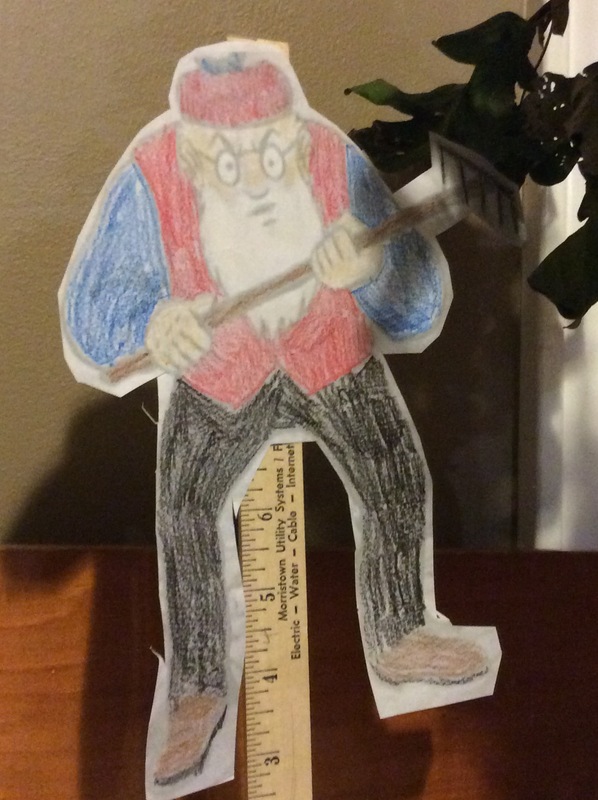 We created the main characters from the story (just printed them off the Internet). On the back we wrote facts about the characters. We also compared and contrasted Peter and his siblings, which gave great opportunity to discuss obedience. 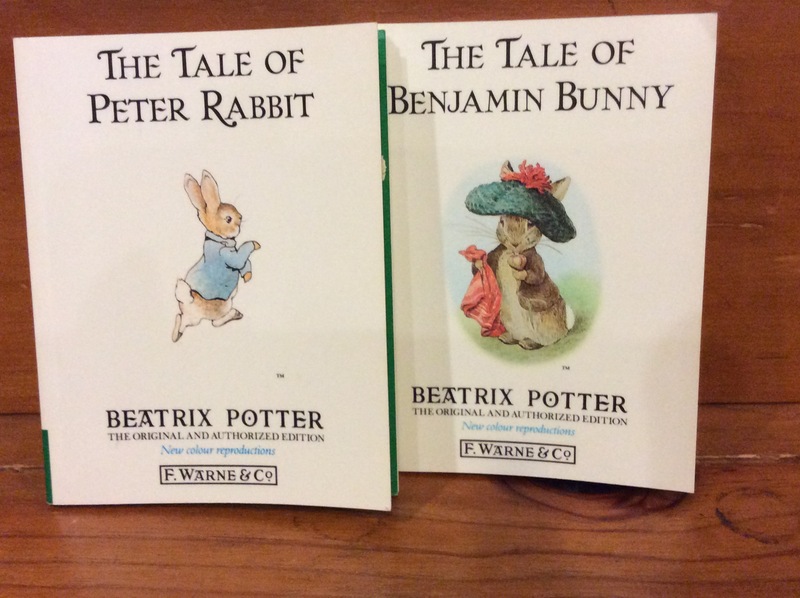 I like the way Beatrix Potter doesn’t glorify what the rabbits are doing. Carson used to love the Peter Rabbit cartoon on Sprout, until I watched it and realized that Peter and his friends were never reprimanded for their actions. That may sound silly, but the underlying message was that it’s ok to steal and no one will say anything about it. Cartoon or not, I don’t agree with that. As we read the other Beatrix Potter books, we also compared and contrasted the characters and settings. 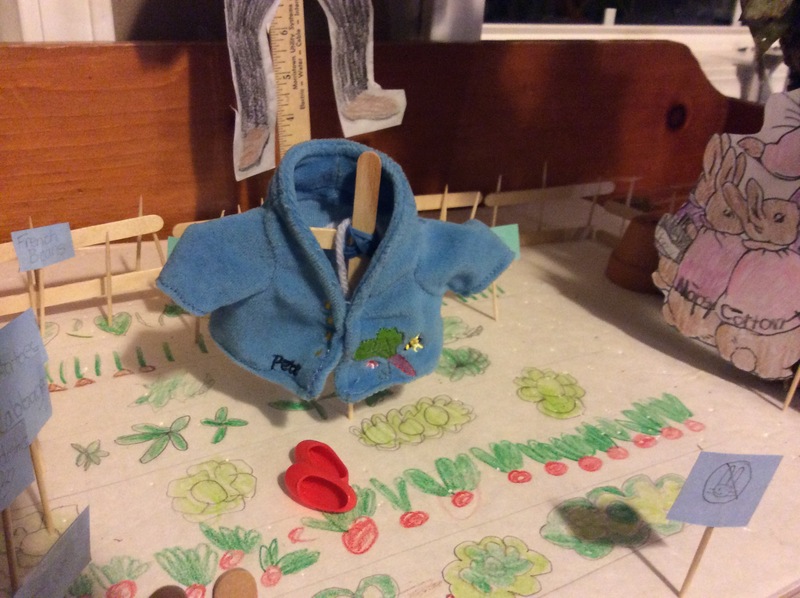 I felt like this project allowed Carson to showcase his knowledge through using his various learning styles. 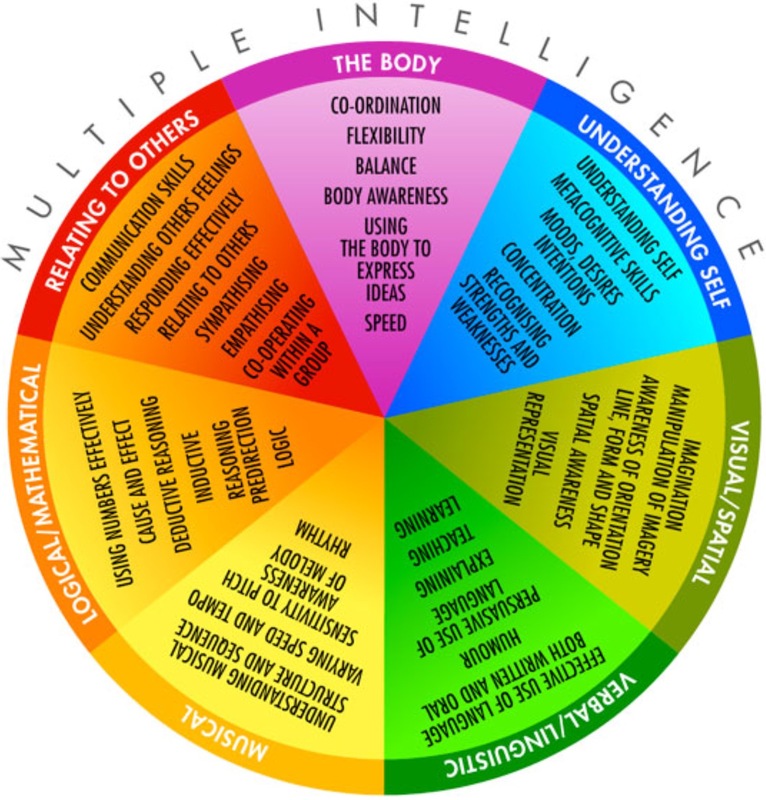 I encourage you to find out what your child’s multiple intelligences are and use that knowledge to help your child succeed in whatever he/she is involved with. Bethany Baker is a Language Arts teacher for grades four through six at Burge Terrace Christian School and the mom of two ornery little boys who keep her busy with their sweet, dirty, silly, and wonderful antics. She is also the wife of a wonderful husband, whose voice of reason keeps her imaginative ideas needfully tethered...well, most of the time. In October 2015, Bethany published her first novel, A Light in Bailey's Harbor, set in Wisconsin, on the shores of Lake Michigan. The verse that has kept Bethany grounded through the many hurdles in her life: miscarriages, having a child with a cleft lip and palate, learning how to jump the endless hurdles of the publishing world, etc. is Psalm 46:10 "Be still and know that I am God." He is faithful. Not on our time-table. Not the way we think it should be solved. But He is God, and He is faithful.